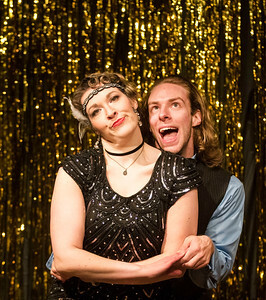 Sarah Nader - snader@shawmedia.com Kimmy Blake (left) and Randy Peterkort perform a scene during a dress rehearsal for "A Vaudeville Fiasco" at The Other Side in Crystal Lake Saturday, March 25, 2017. The new musical comedy is a show about nine zany characters who compete in a live variety show. Performances will be held at 8 p.m. March 31, April 1, 7, and 8 as a fundraiser for The Other Side. Sarah Nader - snader@shawmedia.com Naomi Rogers (left) and Danny Miller perform a scene during a dress rehearsal for "A Vaudeville Fiasco" at The Other Side in Crystal Lake Saturday, March 25, 2017. The new musical comedy is a show about nine zany characters who compete in a live variety show. Performances will be held at 8 p.m. March 31, April 1, 7, and 8 as a fundraiser for The Other Side. Sarah Nader - snader@shawmedia.com Naomi Rogers performs a scene during a dress rehearsal for "A Vaudeville Fiasco" at The Other Side in Crystal Lake Saturday, March 25, 2017. 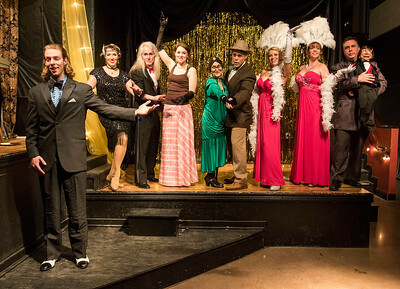 The new musical comedy is a show about nine zany characters who compete in a live variety show. Performances will be held at 8 p.m. March 31, April 1, 7, and 8 as a fundraiser for The Other Side. 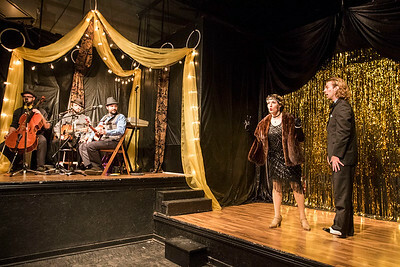 Sarah Nader - snader@shawmedia.com Karen Neidlinger and Adam Moxness perform a scene during a dress rehearsal for "A Vaudeville Fiasco" at The Other Side in Crystal Lake Saturday, March 25, 2017. The new musical comedy is a show about nine zany characters who compete in a live variety show. Performances will be held at 8 p.m. March 31, April 1, 7, and 8 as a fundraiser for The Other Side. Sarah Nader - snader@shawmedia.com The cast of "A Vaudeville Fiasco" during a dress rehearsal at The Other Side in Crystal Lake Saturday, March 25, 2017. The new musical comedy is a show about nine zany characters who compete in a live variety show. Performances will be held at 8 p.m. March 31, April 1, 7, and 8 as a fundraiser for The Other Side. 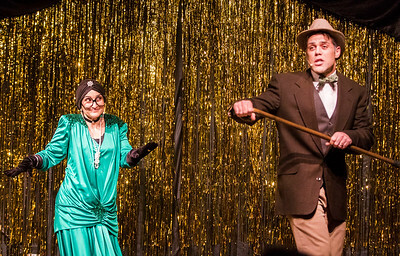 Sarah Nader - snader@shawmedia.com Karen Neidlinger (left) and Adam Moxness perform a scene during a dress rehearsal for "A Vaudeville Fiasco" at The Other Side in Crystal Lake Saturday, March 25, 2017. The new musical comedy is a show about nine zany characters who compete in a live variety show. Performances will be held at 8 p.m. March 31, April 1, 7, and 8 as a fundraiser for The Other Side. 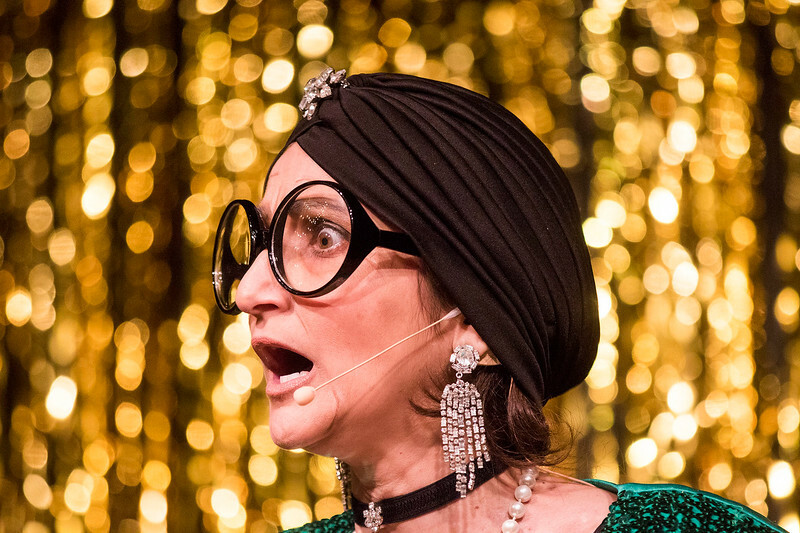 Naomi Rogers performs a scene during a dress rehearsal for "A Vaudeville Fiasco" at The Other Side in Crystal Lake Saturday, March 25, 2017. The new musical comedy is a show about nine zany characters who compete in a live variety show. Performances will be held at 8 p.m. March 31, April 1, 7, and 8 as a fundraiser for The Other Side.